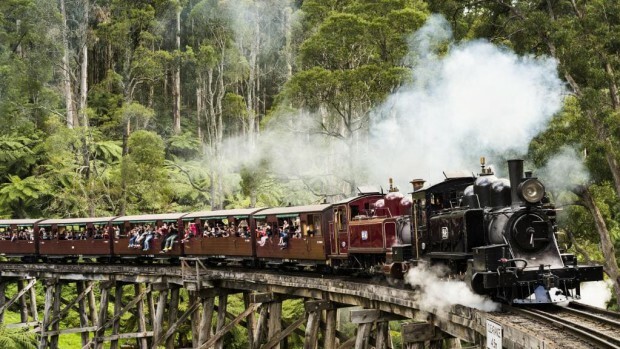 If you are ever in Victoria, you may want to make some time to take a trip on Puffing Billy. Puffing Billy is an old steam train that runs from Belgrave, on the east side of Melbourne, east into country Victoria. 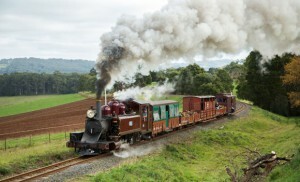 It travels through some beautiful forest and farmland and is especially popular with tourist and school kids. Trip length is 3 hours return to Lakeside or 5 hours return to Gembrook. In both cases there is plenty of time to get off the train to have a walk around and get something to eat at the end of the line before returning the Belgrave. The train pulls several types of carriage, and the number and type changes with the seasons and time of day. There are also special events, like murder mysteries, night journeys and packages including old-time dancing. 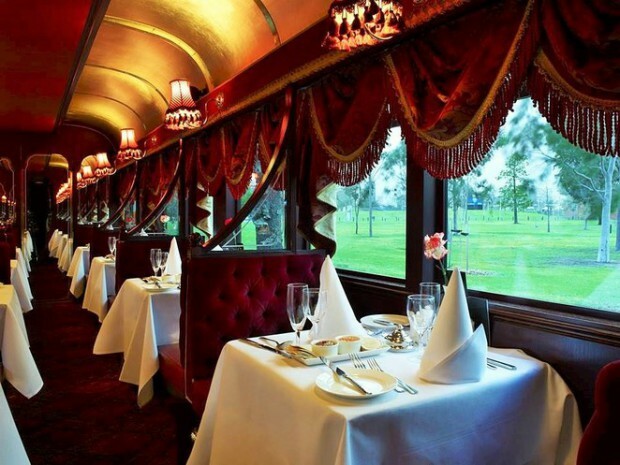 There is usually a dining car or two on the end of the train. 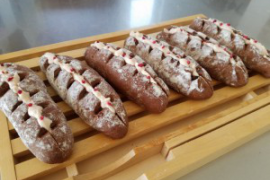 You can book a table to have either a full meal or high tea, with dessert and coffee served on the way back. 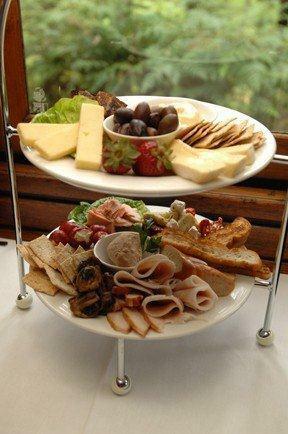 Last time I went on Puffing Billy I had the high tea – it was heavenly!